New! Papyrus Painting with Thoth, Osris in the front of the tree of life. Just add a frame. Measures approx. 9 x 14 inches. Great gift! 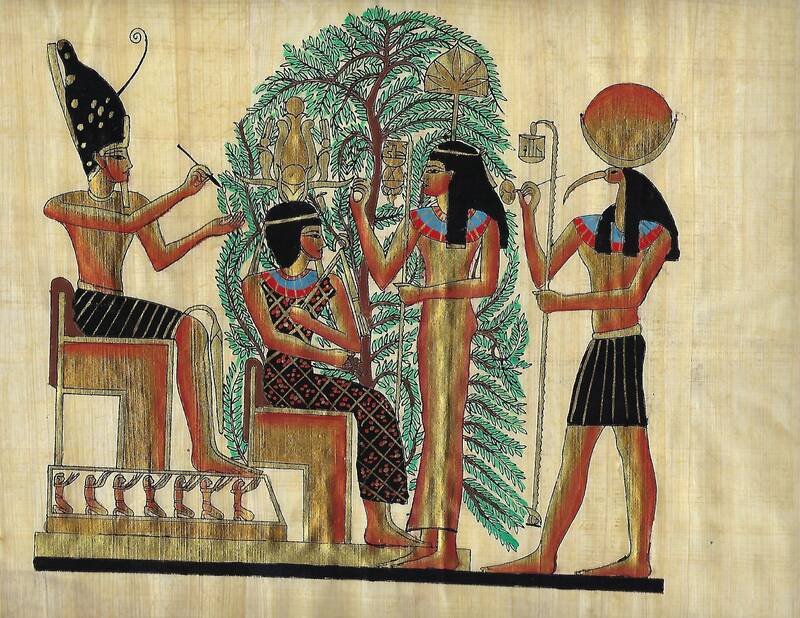 Our genuine Egyptian papyrus painting has Thoth, Osiris and others in front of the Tree of Life. It measures approx. 9 x 14 inches and is unframed. It is imported directly from Egypt. The papyrus painting makes a great gift for any occasion or just add a frame and you have museum quality art for your home or office wall! Makes a unique, practical, beautiful gift!